Heisenberg vape juice by Innevape will have you running into the New Mexican desert in search for more of this sweet sweet juice. Blue Raspberry, Blue Popsicle, and Blueberry Slushie all squeezed into one 75ml bottle makes this juice a blue berry bonanza. 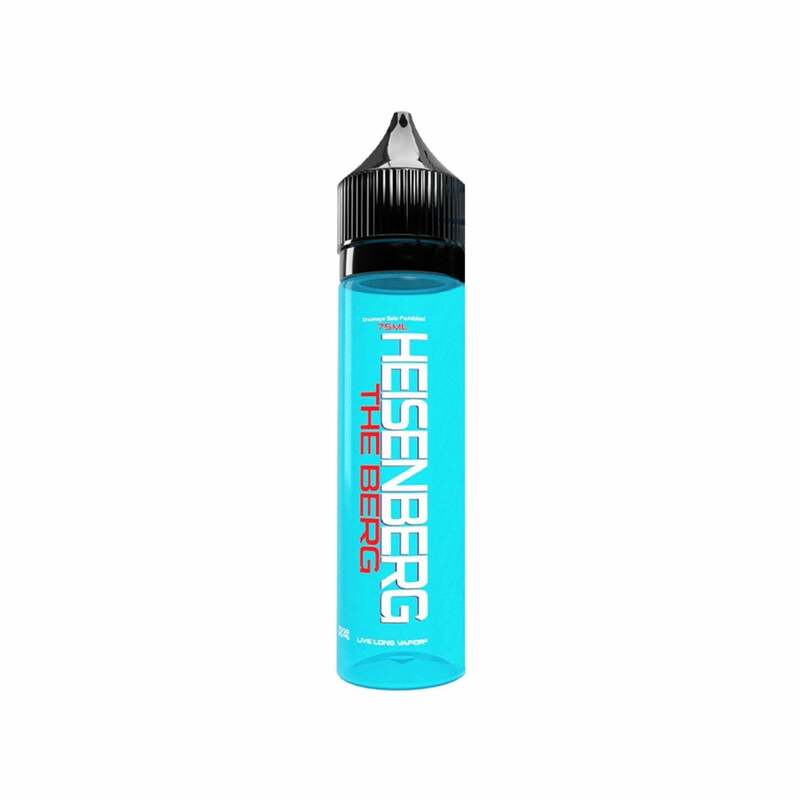 If blue had a flavor Heisenberg would be it, its sweet blend of blue flavors making a juice that even Walter White would be proud to cook up. Innevape vape juice is available in 12mg (1.2% nicotine), 6mg (0.6% nicotine), 3mg (0.3% nicotine) and 0mg (nicotine-free). Wow! Just wow! Love this juice!!! Best juice out there in my opinion! Best taste. Best quality. Best juice around!! Fantastic flavor. Quick ship and delivery. Will be ordering again. So yummy, one of my faves. Tastes just like a slushy....flavor that lasts. Huge bottle! I LOVE this. The taste is awesome. Huge bottle. Fast shipping. 5th January 2019 - Jessica L.